I am a big fan of shrimp. My favorite way to eat them is probably deep fried with a beer batter. It is definitely not the healthiest way by any means. 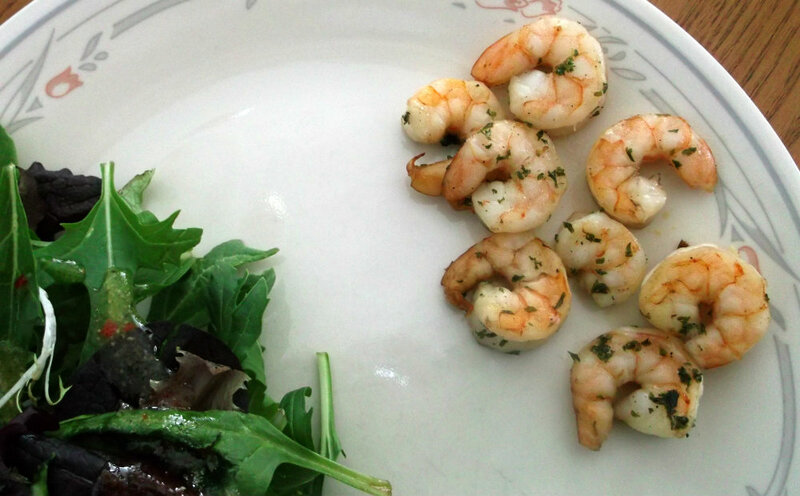 Last week I had bought some shrimp and was wondering how to prepare them; when I found a recipe on Pinterest. It seems of late that I am finding a lot of my recipes on Pinterest. The recipe included beer, but no batter or deep frying. So I was happy about finding a healthier way to eat shrimp and it definitely was not as messy as the deep frying would be either. But you still can taste that hint of beer flavor and in my book it makes them plenty tasty. The beer that I mentioned before is combined with a few other tasty ingredients to make a simple marinate. The recipe called to marinate the shrimp for a few hours, but since I was at work all day and wanted to have them ready to go by the time I go home in the evening I marinated them for the day. After the marinate is discarded and the shrimp are placed on skewers so they can be broiled. They made a quick an healthy meal and really not a lot of clean up. Perfect if you are looking for a new way to make your shrimp. Peel and de-vein shrimp, leaving the tails intact. Combine beer and remaining ingredients and stir until blended. Place shrimp and marinate in a Ziploc bag, making sure that all the shrimp are covered with the marinate. Place in the refrigerator for all day or overnight. Drain shrimp, discarding the marinade. 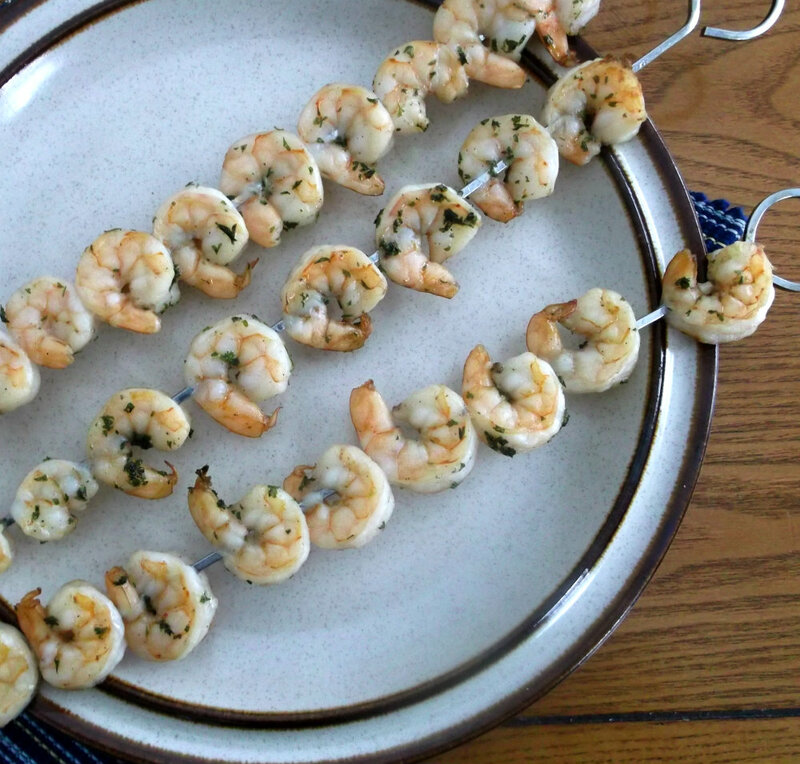 Thread neck and tail of each shrimp onto 14-inch skewers so shrimp will lie flat; place the skewers on a lightly greased rack of a broiler pan. Broil 5 1/2 inches from heat (with electric oven door partially opened) 3 minutes; turn and broil an additional 1 to 2 minutes or until shrimp have turned pink. Sounds and looks delicious the shrimps in beer…I can only imagine the flavor…yum! 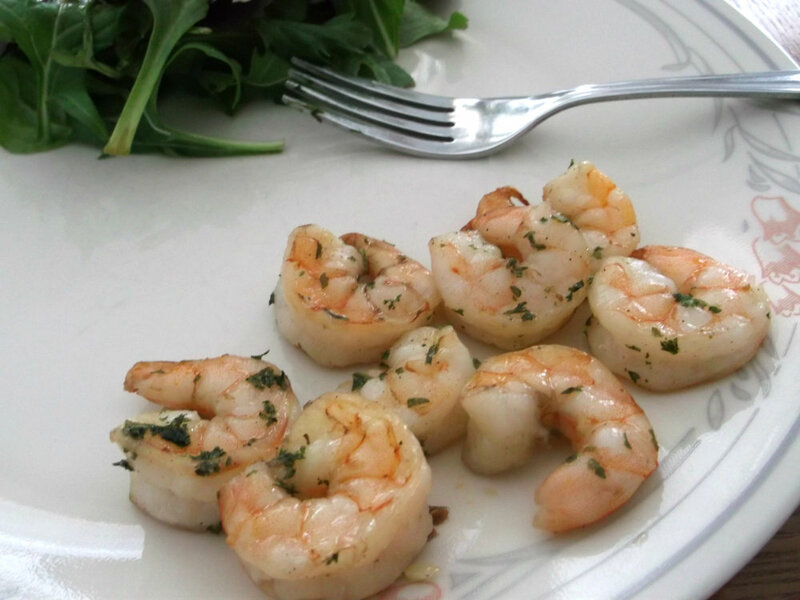 We love shrimp and I’m always looking for new ways to make them. Marinating in beer is a whole new concept for me. I’d probably skewer them and throw them on the grill. I have a feeling my husband would love these shrimp! I am a shrimp love too! These sound super flavorful and delicious! I need more beer in my life haha. This looks really good – the beer and the spices must give a lovely taste! I’ll eat shrimp any way I can get them! This sounds wonderful. I often marinate shrimp for a day – it works particularly well with frozen ones (they defrost in the marinade so it’s win-win). Good recipe – thanks.